When I’m looking for the best carrier oils for summer skincare formulas I look for two qualities. First, I want an carrier oil that feels light on the skin so it will soak in despite heat and humidity that accompanies summer. And second, I look for an carrier oil that has high amounts of anti oxidants to help protect the skin while we play outside and enjoy the weather. In general, the lower the percentage of saturated fatty acids in an oil, the more quickly it will absorb into the top layers of skin. Oils high in saturated fatty acids work wonders in the winter when we need the extra protection against drywinds and cold, but in summer these heavier fatty acids tend to sit on the surface of the skin as we perspire more in the heat. All oils are made up of a combination of fatty acid types, including saturated and unsaturated. 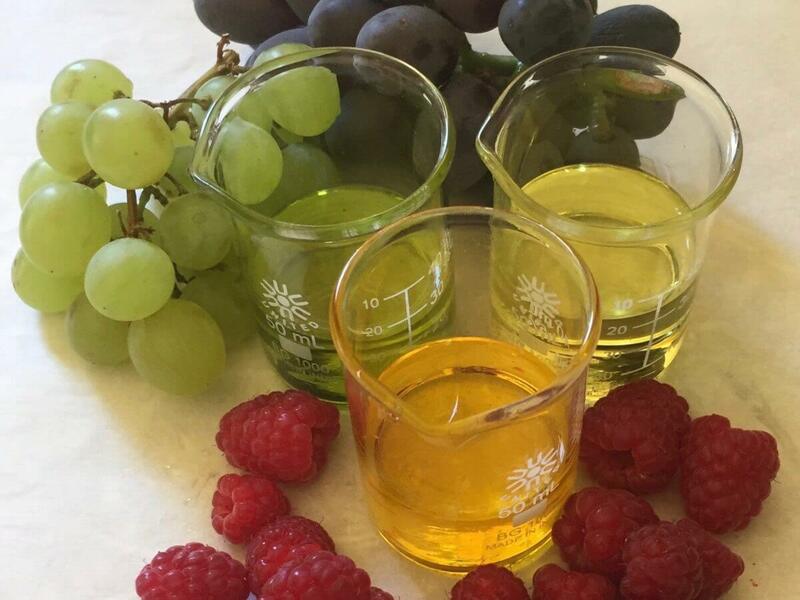 So for summer skincare, you want to look for oils that have 20% or less saturated fatty acids. Of the unsaturated fatty acids we have both polyunsaturated and monounsaturated. Look for the oils with the higher percentage of polyunsaturated linoleic acid to find the ones that will absorb well in summer heat. A general rule of thumb is to choose carrier oils with high color. It is the colorful oils are rich in plant compounds that help protect the cells. Orange and red oils in particular have high amounts of beta-carotenes that acts as pro-vitamin A in and on the body. When you apply these oils to your face and body, the colorful plant compounds deliver important vitamins to the skin which help protect the cells from free radical damage. 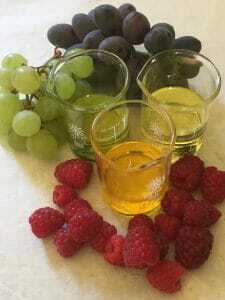 Antioxidants found through out the plant world protect the skin’s cellular structure against free radical damage. Living tissues do a continual dance between breakdown and repair. The word anti-oxidant means preventing oxidation, that browning of the apple when it is cut open and exposed to the air. Antioxidants literally insert stabilizing electrons that halt the ‘free radical cascade’ of the oxygen molecules that cause oxidation and damage to cells. Oxygen in the wrong place and the wrong form is what damages tissues and speeds aging. Using oils that have antioxidant compounds helps to protect and even heal our tissues from damage. Here’s a few oils that have the qualities we’ve been discussing. Passion fruit oil, watermelon seed oil, cucumber seed oil, and raspberry seed oil. These are examples of oils high in polyunsaturated fatty acids so their nature is to absorb into the top layers of the skin. While the colorful oils high in antioxidants can help protect your skin from sun damage, the lipid carrier oils should not be considered sunscreens. Consider the word, screen. This would mean that whatever screens prevents the sun’s rays from coming into contact with the skin and oils certainly cannot screen the sun out. However, the lipid carrier oils do help protect tissues exposed to sun. This is a big subject, how to safely protect the skin from sun damage. I am fascinated by what role oils play in this process and it is something I am continuously researching. I’’ll have more on that at some point, but until then, what is your summer climate like? hot and dry? humid? and which oils to you love for summer skincare? Leave a comment below and let me know. And remember, lipid carrier oils are not sunscreen. Be careful and protective of your skin, its got a big job to do. Susan,may I ask you where I can use orange and lemon extracts in alcohol?and also if I could use my wonderful body butter in summer,made of shea butter,cocoa butter,coconut oil,and Saint John’s wort infused oil. Hot , but in the afternoon it rains for about 3 if we are lucky. On holiday we are off to Capetown by the sea . Hot humid. Last summer was hot and draut. Thank you, love this info. I have apricot oil and am using argan oil on my face. Argan seems to sink right in. So after I chose an oil like raspberry ( which I love) in the daytime for our dry California climate would I use one with more saturated fats at night? What can I say about our summer weather? Normally we are in the 60 degree range by now but we had snow flurries yesterday. I’m out in the Atlantic Ocean on the coast of Canada. Our peak temperatures for July and August will hopefully be 80-87 degrees with a week or so of humidity. So everyone with hot humid climates would love to be here…but not yet! Whether it’s warm or cold our winds are usually high. So very drying for the skin. I have been looking for a lighter but nourishing oil or combination of oils to use for infusing botanicals, come the fall. I will then use this in face serums or lotion bars for gifting to friends and family. 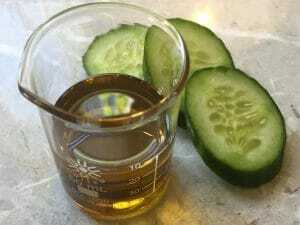 I have been using olive oil for my infusions but find it very heavy for the face. My understanding is that olive oil is a very stable oil to use for infusions. If that is true, then perhaps the answer is to use less of my infused olive oil and combine it with one of the polyunsaturated oil you mentioned. Sourcing in Canada is the problem. Apricot and Seabuckthorn and Hemp are the only oils available apart from cooking oils. If you have any oil suggestions or Canadian sources that would be great. The quest continues! As always I really appreciate you continuing to educate me. Thank you so much, Susan. Great article and perfect timing! Such great summer time knowledge to pass on. I’m just understanding the role of carrier oils and their properties. So fascinating. I changed my skincare routine and now only use oils. My skin has changed. So nice. Thank you for sharing. Great information. The lipids I have been using have been staying on the surface. I need to invest in the above oils that you listed. Thank you. Loving my raspberry oil. Thanks Susan for the info. I was in the Caribbean hot harsh sun for 2 weeks, and the oil felt light and protective and lovely like silk. I live in MI where it can be 90 one day and 50-60 the next. I have noticed this year that the skin cream I made for winter is too greasy now, so I’m in search mode to figure out a new face cream recipe that will work with hot, humid weather as well as less humid cool weather. I’m fascinated by your blog. I’m new to the oils and making facial products info but am learning so much from you. Thank you. Thank you Susan for this great post. I recently made a summer facial oil serum for myself of jojoba wax, hemp oil, Kalahari oil(watermelon), passion flower oil, and cucumber oil. I made it before I read this post so I was excited to find that I was right and my serum was indeed lighter than the last formulation that had calendula seed oil. I found that my last serum with the calendula seed oil is definitely more moisturizing. The latest serum with the watermlon, cucumber, passion flower oil is perfect for summer. I love fixed/carrier oils! They do wonders for my skin. I am new to your book and Blog 🙂 I am very excited to have found you and love the information. Been in Australia i am of course looking for those rich, thick and nourishing oils for skincare.